Having received so many listener questions I am devoting time to answer as many that you have sent in as possible. Scroll down to read the extensive show notes below in conjunction with the Podcast Audio – All links in the Podcast are detailed in the show notes plus additional images and screenshots to clarify and technical discussion in the text. Hi, I’m Rob Nesbitt and this is the Procartoon podcast. 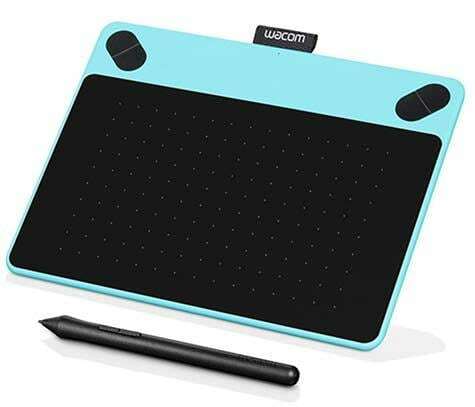 I look at the tools of the trade, tips, tricks, podcast reviews and interviews and more to help you in your cartooning and artistic work. As I said in the last podcast I have been slightly derailed from my goals due to a sales opportunity that has come my way unexpectedly. Shortly after that, another opportunity has arrived and my best-laid plans will require some revision. 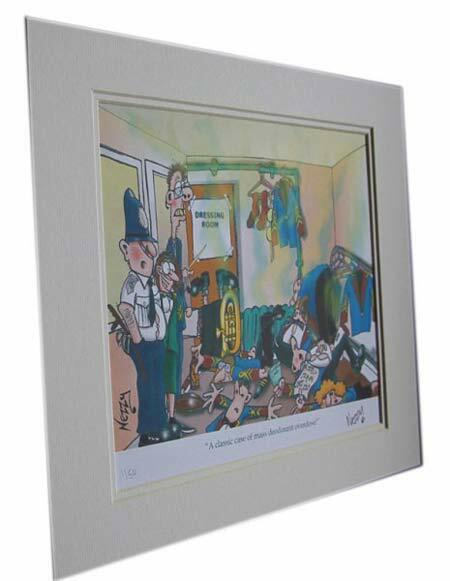 When I spoke to you last I said that I had been approached by a major brass band website 4barsrest.com to sell my cartoon related products on their website shop. Since then I have spent quite a lot of time preparing products and the sales copy to go on the shop page. To kick things off I am going to sell signed prints, limited edition prints, and original artwork. This has been an excellent income stream in the past. 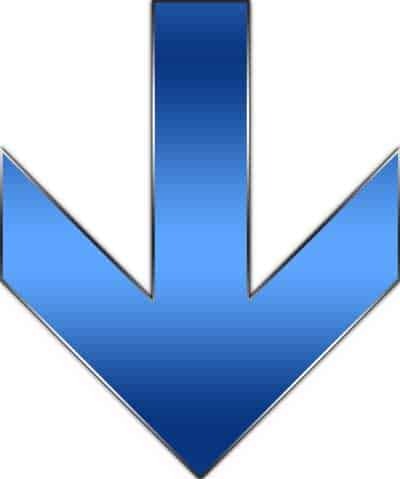 As you already know I am an advocate of creating multiple streams of income to safeguard the business against any unexpected or sudden downturns. I will also sell original artwork which not only varies what is on offer but commands a much higher price as you would expect. Another variation is to create limited edition prints which will be hand signed with the unique edition number. Limited editions add scarcity to the mix and as such, you can charge more than a straightforward print and can be quite lucrative. 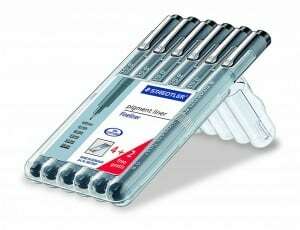 More recently I have been approached by a high-end custom pen manufacturer. I have been asked to design a series of cartoons that will be implanted into the barrels of click and fountain pens for a new range of pen designs. RittersWiters.com is owned by Gareth Ritter who is based in Raglan a small rural village in Monmouthshire UK. I am currently preparing the artwork and a contract which I believe is essential. Between these two recent ventures, the time I have available to move my existing goals on has been eaten up. I have had to rethink and look at rescheduling. As Brian Tracy says in his best selling self-help book Goals – ‘If you cant meet a deadline then set another’. I am taking his advice but it does feel as if I have failed slightly. I am sure I will get over that feeling as this ‘failure’ is for some very positive reasons. Keep producing the podcasts the top priority. I missed my target of two a month as I didn’t produce any in February but I will get back on track with that. The driftwood figures will also be pushed back to September. On saying that I may just put them on the 4 barsrest.com shop as additional products. It’s funny how things progress when you start to really drill down and focus on developing your business. Other opportunities seem to come out of the blue! I will keep you posted. OK, now it’s your turn as I look at the deluge of questions you have sent in. I am really grateful to every one of you that have taken time out to contact me. It really is much appreciated and I have to say you have sent in some great questions. I love this interaction as it shows me that there are people who listen to the podcast and it also keeps me right on my toes. It has also given me some ideas for future articles and podcasts as you ask things that trigger more ideas for me. The first question is from Mike James who is from Auckland New Zealand. I have just started to draw cartoons and wondered if the characters I hope to create should be anatomically correct. I have read a book on cartooning and it talks about variations such as having only three fingers on hands. What is your opinion on this? Great question Mike and it opens up much for discussion. Characters do not have to be anatomically correct. On the subject of fingers, the great Walt Disney’s most famous character Micky Mouse has only three fingers. Why?… because it makes the animation less complicated and clumsy with three. 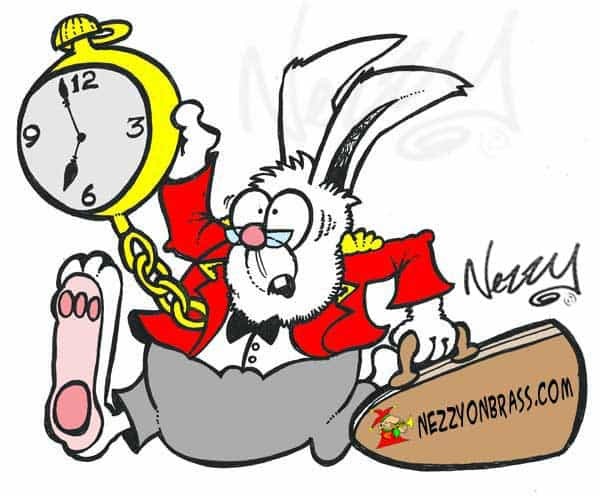 I generally only use three fingers and a thumb for my brass band cartoons for the same reason and because most brass valve instruments have only 3 valves. On the other hand (excuse the terrible pun!) I usually depict conductors with a full set of four fingers and thumb while conducting with a baton. I make full use of the fingers to create expression and movement in the hands. 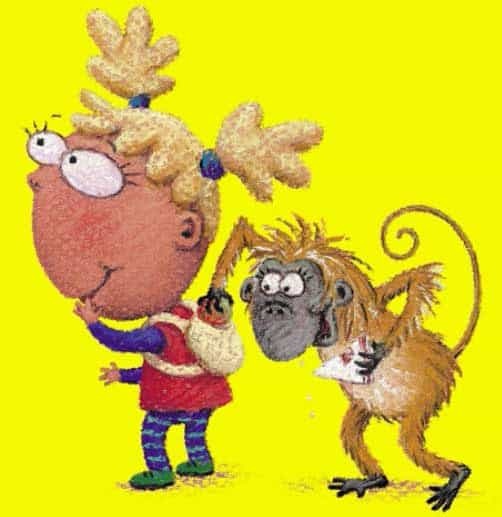 Lynne Chapman often uses a 3/4 face in her children’s book illustrations. You can see that in the girls face – you shouldn’t be able to see the left eye when viewing a side on head! Another anatomical anomaly (try saying that when you are not sober!) are the eyes particularly when drawing cartoon characters faces side on. Lynn Chapman the talented British children’s book illustrator and the urban artist draws both eyes side on even though it would, in reality not be anatomically correct. She calls it a three-quarter face and the reason she does it is that two eyes on a character are far more interesting than one. There is an example of one of her illustrations in the shown notes. You can also see clearly that the little girl in the image only has three fingers and has a huge head in proportion to her body. I think this demonstrates quite nicely that reality can go out of the window for a cartoonist! If you would like to listen to Lynne Chapman and see some more of her work go to the Procartoon Podcast 1 where there is a fascinating interview I did with Lynne last summer. I hope that answers your question, Mike. “If I draw for prolonged periods I have a really bad backache and I often have to stop drawing for days at a time.This is particularly frustrating when I need to get work finished on a deadline. Have you any ideas of how I can overcome this problem as I have tried everything. I assume it is caused by the way I am sat at my kitchen table which is where I do most of my artwork. Welcome to my world sally. 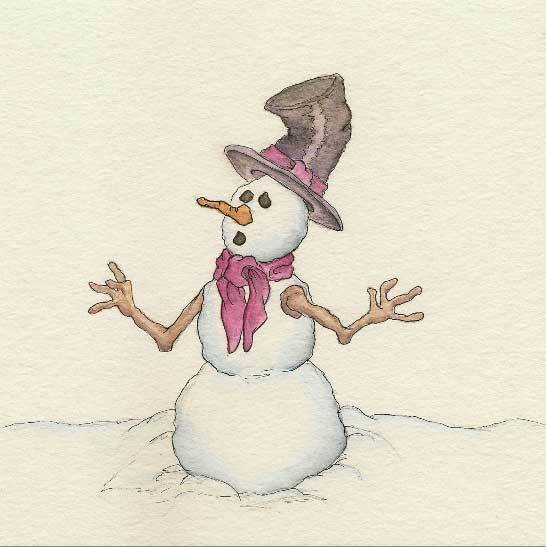 I am currently visiting the chiropractor after doing something to my back while clearing snow from my driveway. It is murder to sit for any length of time and frustrating as I have quite a heavy workload at the moment. There is no easy answer to this but there are many things you could try. Please forgive me if you have tried these before. Try an ergonomic chair/ desk set up. there are many on the market and I would suggest that if you are going to do this you go to a physical shop rather than online so that you can test this out. 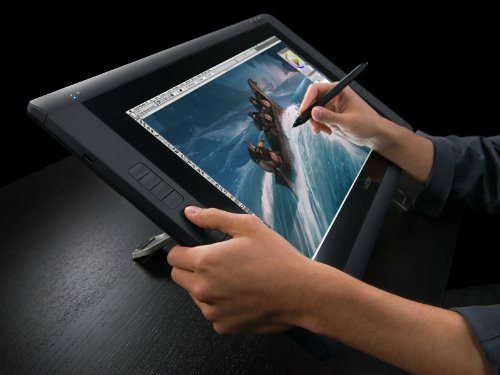 Try standing and drawing on a higher work surface. Vary the angle you are drawing it. I have found that a slight incline rather than a flat surface doesn’t give me so much grief. Exercise regularly. I have found walking to be the best medicine for any back aches and pains. Walking helps posture and is very good for you. I aim to do 10,000 steps a day on my Fitbit watch which is a great motivational tool. Diet and losing weight have been pivotal in keeping back pain away. When I am at my comfortable weight I generally feel fine with very few aches and pains. When I put on too much, which in my case is about a stone I feel gross and get all sorts of aches that I didn’t know I had places. Joanna Penn is a prolific fiction writer but also writes very good self-help books for writers. 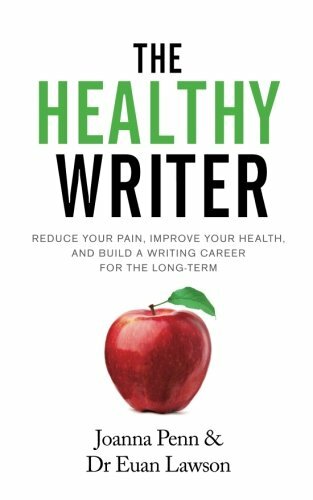 Her recent book ‘The Healthy Writer’ is excellent with some great information and tips on keeping healthy. If you think about it a writer sits in basically the same posture and Joanna’s book is highly applicable to us cartoon artists. If you are interested in getting a copy of the book follow the link in the show notes. I hope that helps Sally and hopefully, you will be able to get back to normal soon. There is nothing worse than back pain (apart from a toothache) particularly when you are trying to be creative. This is an interesting question and there are two answers to this – ‘yes’ and ‘no’. Have I confused you already? I will start with ‘yes’. I often use international paper size A3 when I have a larger or complex scene to draw. It gives me more room to draw and I can get all the detail in with becoming fuzzy or scratchy. I then scan the image in two or more sections and stitch them back together using the layers pallet in photoshop. It is easy to align the separate sections when in layers. Just drop the opacity of a layer so you can see the layer beneath and you can move them exactly into position with the ‘move’ tool. It may not suit your style of work to draw in a larger format and then rescale. One of my favorite artists is the highly talented Australian children’s book illustrator Korky Paul. 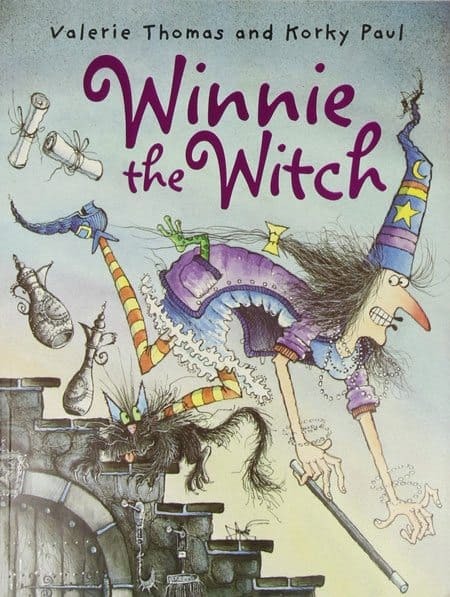 He has illustrated the Winnie the Witch series of children’s picture books. Each illustration is packed to the rafters with detail and subplots. You keep finding something new, interesting or hidden every time you take another look. It is simply staggering the amount of intricate and quirky detail that he manages to get on a page. I had the pleasure of talking to Korky paul a few years back at the world famous Hay on Wye Literary Festival. I asked him what scale he prepared his artwork for the books. I was astounded when he said that they were at the same scale as they appear. He didn’t use a larger format and shrink it later. I was absolutely convinced that he was going to tell me he drew and painted on huge canvasses – but not so! You can see some examples of his work on the Winnie the Witch Books in the show notes. If it suits you to draw small or large it doesn’t really matter – it’s what feels right for you. In my case I usually draw at the size it will appear when published but on occasion, as I said earlier it makes sense to scale up then back down to grab and lock in the detail. I hope that answers your question, Kelly. Thanks Ed for your three in one question you have raised some great issues here. A portfolio is usually the last thing we cartoonists think about while we are beavering away creating awesome cartoon work. That is until we need to present our work to a prospect. I found this to be really stressful and time consuming the first time I had to put a portfolio together and present it. So bad in fact it made me feel quite ill. But fear not! How much artwork do you need in a portfolio? I’ll take your questions in a different order. Let’s start with how many pieces of artwork do you need. I generally tailor this to suit the client, their project or trade and any other relevant factors that could influence what they are looking for. As an example, I once pitched a printing company who had already done some work for me in the past. I verbally pitched myself while buying some printed material from them and the main man asked me to bring in a portfolio of work. In this case, I produced quite a large portfolio of varied work which included ideas for printed materials that he could use for his customers. This worked very well and I also prepared a professional portfolio that he, in turn, could show his clients if they needed artwork. He directed his customers to me or simply took orders and took a cut for himself. This arrangement worked really well. In the second example, I pitched a magazine editor and it was more appropriate to send him three cartoons in a specific niche related directly to the magazine content. I sent the cartoons in an email so there was no ‘hard copy’ portfolio on this pitch. It worked and I got the magazine’s cartoonist job. So, Ed, you can see that there is no set or standard portfolio size. It all depends upon the circumstances you are presented with. I have also created a portfolio as a PowerPoint presentation which worked superbly for one client. If you are meeting a client face to face make sure you display it professionally. What I mean is you don’t want to turn up like you just crawled through a hedge backward with your artwork in a plastic shopping bag! 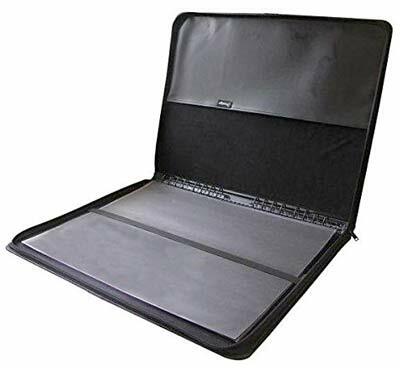 I generally use a larger scale (International Paper A3 plastic wallet folder. This keeps the artwork firmly in place and looks the biz. I also keep that inside an artists portfolio carrier. If you want to see some great examples I have done a review of 5 top rated portfolio cases – the link is in the show notes. By being prepared and looking professional you will feel professional, more confident and more likely to win over your prospect. I think I have covered all your questions Ed and hope it helps. Hi Corrin, a great question. This was an issue that used to really bug me when I launched my first website in 2002. At that time web site building and the technicalities that go with it were a complete mystery to me. I asked the web designer the same question that you have. His solution was to ‘disable right click’ – in other words, if someone tried to steal my artwork by using the right mouse click/copy or tried to copy off the top menu they couldn’t. Now that worked fairly well. Example of watermarking – I have used my cartoon signature as a watermark in the background in addition to my usual signature. The thing is we have come a long way since then and if people want to steal your artwork they can – it isn’t rocket science. The best way to protect your work is to watermark it. It won’t stop people downloading it but it is likely to stop those crooks who steal your work to make their own products. An image with a watermark is not desirable for say someone who wants to rip your design off for a t-shirt or a greetings card. I have come to the conclusion that most folks are basically honest but I accept that a few rogues have ripped off my artwork from time to time. Has it made a devastating dent in my income? Certainly not and I do think it’s not worth worrying about. Legal action when all else fails? I also feel quite flattered that some people think my cartoons are good enough to steal! If someone did use my artwork and was selling products with my work on it without my agreement then I would start the ball rolling for some kind of legal response. In the first instance, it would be a direct communication to stop them from using the design or at least discuss what they are doing and come to an arrangement. If this fails I would follow it up with a letter from a lawyer to ‘Cease and desist’ which large corporations often do when there have been copyright infringements such as using a brand name in the title of your website. You have also given me an idea for an article on Procartoon – how to create an effective watermark. Thanks, Corrin and I hope you don’t get too wound up about others using your art. 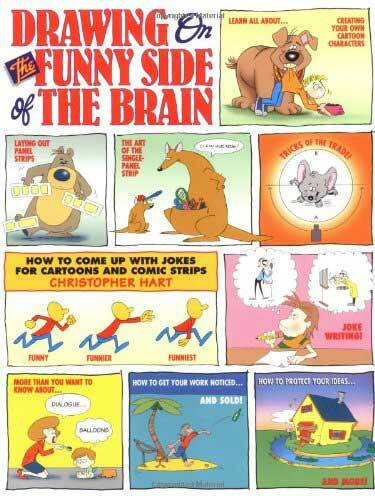 There is a section in the cartoonist guidebook ‘Drawing on the Funny Side of the Brain’ by Christopher Hart that deals with protection of your artistic ideas. If you look at the show notes I describe the book in more detail in the next listeners question and there is a link if you want to buy this invaluable book online. ‘I find it very difficult to draw expression in the faces of my cartoon characters. Is there a book or course I can use to help me? Simon, that is another great question and it is an issue I have struggled with myself when I first got into cartooning. 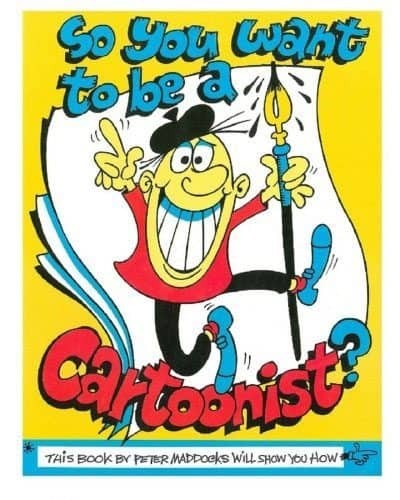 There are a few good books which will help with the basics of cartooning and several courses. However, there is one book that I swear by and I think is a masterclass in creating cartoon expression. Peter Maddocks is a British cartoonist whose work was regularly seen in all British newspapers, the Daily and Sunday Express in particular. He wrote a cartoonist self-help book called ‘So you want to be a cartoonist?’ and I still have my copy which is donkey’s years old now. I still regularly refer to it for guidance and inspiration. He shows the basics in such a fabulous way that it is not like learning a subject. He literally drags you in and inspired you on every page. I can see his illustrations on how to draw hands, facial expression, movement lines and all other cartoony facets without opening a page. It’s locked away in. my head as visual photographs that I drag out of my cortex cupboard when required. That’s the good thing…now the problem. it is becoming more and more difficult to get hold of this book. Since it was first published in 1982 copies are getting scarce. However, I was delighted to see that there is now a Kindle version and there seems to be a recent reprint which you can find at Amazon using the link in the show notes. This is another excellent cartoonists ‘How to..’ book and every cartoonist should have this in their reference library as well. 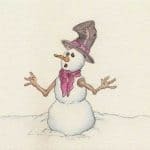 Christopher Hart has created a superbly illustrated reference book that takes you from the very basics through the development of characters, actions, expression and just about every aspect of drawing selling and giving you the skills you need. This is a book that I regularly delve into to refresh and enthuse my creative mind. Christopher is well qualified to produce this fantastic cartoonist guide having attended the Disney Animation Program at the California Institute of Arts and earned himself a B.A. from New York Universities Film School. He has worked on the world famous blondie comic strip, regularly contributes to Mad Magazine and has written comedies for many top film and TV studios such as MGM, Paramount, Fox, and NBC. I just love the way he has laid out the 200 pages in this book. Any aspect for the aspiring cartoonist is covered. There are many courses to be found on the internet some good some not so good. 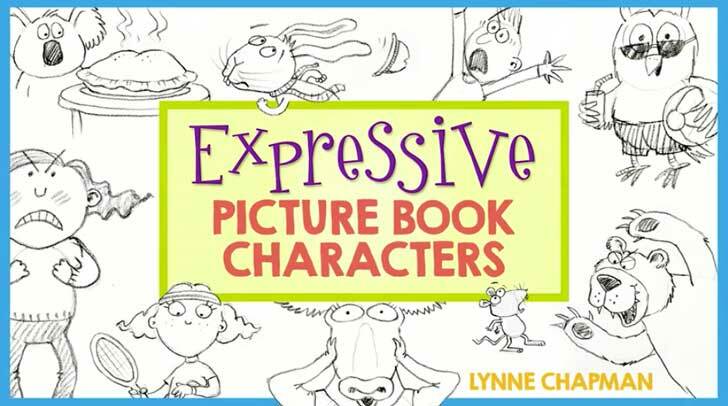 One course I have bought and completed recently which I thought was exceptionally good was Lynne Chapmans ‘Expressive picture book characters. Lynne is an excellent communicator and teacher and even though I have been drawing for most of my life i leaned a lot from her and found many new ideas tips and tricks. The course is available on Craftsy.com and won’t cost you a fortune. The best way to get better at your craft is to practice practice practice and the cost is nil – just your time and it will take time! Ben, I know exactly where you are coming from with this. I used to believe that I was not s good cartoonist because I had to rough pencil my cartoons first. That was until I started to look at some of the top cartoonist’s original work. I started to collect original cartoons by some of the best British cartoonists. One of the most famous was Reg Smyth who created a northern cartoon character called Andy Capp. It was a cartoon strip that featured in the Daily Mirror for over four decades and was so popular that even after Reg Smythe’s death in 1998 the Daily mirror kept the cartoon strip going using writer Roger Kettle and artist Roger Mahoney. …When you look closely the rough drawing (in this case in blue pencil) can be clearly seen behind the ink. I was lucky enough to acquire two of his original submissions to the Daily mirror on eBay. I was delighted to see the traces of pencil in the background behind the finished inking. Even the very best use pencil to make sure it gets drawn correctly. At the end of the day does it really matter whether you pencil it out first? Surely it’s the finished article that counts? The one unknown in this lies in your question. Would diving straight in with ink improve your drawing skills? This is a very good question that I am not really in a position to answer with any authority as I have not tried this. There are some cartoon artists that do this. I watched the incredible Quentin Blake (illustrator of Roald Dahls’ wonderful children’s books) live at work several years ago. I noted that he draws directly with a pen. No pencil in sight. I think this is because he has a style that suits this method with a scratchy style that absolutely suits a dip pen on paper. In addition, I think the man is an absolute artistic genius who seemed to be able to create unimaginable personality and expression out of such an economy of seemingly random pen strokes. you can see exactly this process and how Quentin colors in his illustrations in a short video I have posted in the show notes, which I found absolutely fascinating. Thanks for that question Ben I am sure a lot of new cartoonists will appreciate this. This is another great question and I think fairly easy to answer. We have all been through some form of development in our lives and yes others influence how we shape things. 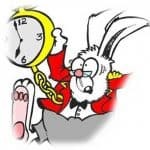 Time is the secret here. Remember when you were learning to write! In the early days, your childlike writing looks nothing like your writing style as an adult. It took years to refine and develop. I look back at my early cartoons and can see how far I have progressed since then. 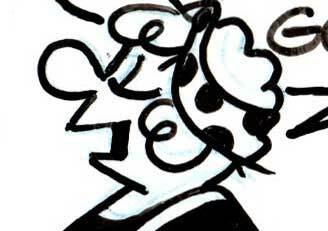 I used to look at a great variety of cartoonists styles in minute detail to see how they were doing it. Over time I took the best parts of my favorite cartoonists and slowly but surely it morphed into a style which I believe is part influence but mainly my own style of drawing. Trust me on this. If you keep that pen in action and turn out a lot of work your style will come. Don’t worry that you think you are copying other artists it’s just part of your long-term development. As a benchmark take a look at the cartoons you were turning out a couple of years ago. Has the style changed? Have you improved? My guess is yes on both counts and I am pretty sure that a few years down the line you will look back and see further developments. it can take quite a long time to lock in your own distinctive style but once it arrives you will know it! I think this is generally the case for all cartoonists. Thanks for that question terry and hope your own individual style arrives soon for you! ‘When I scan in my black and white pen cartoons they never appear as good on screen in Photoshop. Is there an easy way to solve this problem or do I need to buy a new scanner? Hi Jenny, don’t spend any money just yet on a new scanner. This is just one of those quirks you get with most scanners where the scanned image seems to be a poorer version. Very often the scan on screen can have a slight grey tinge and appears a little bit washed out. The easiest way to correct this is to open up the layers palette in Photoshop (see the image I have put in the show notes). 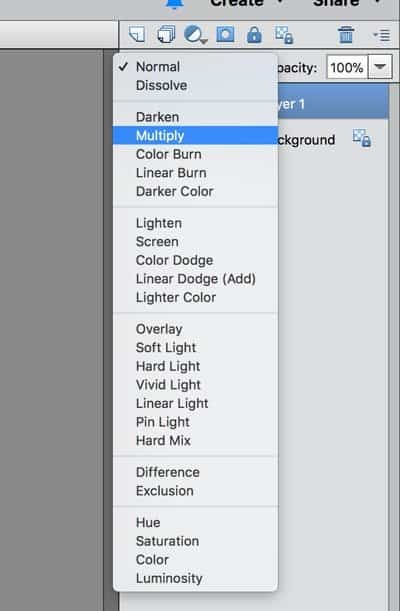 In the layers pallet duplicate the scanned layer and in the layers menu select ‘Multiply’. 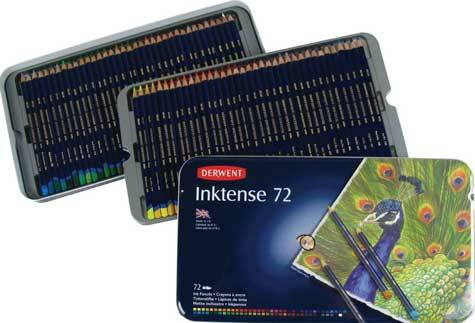 This has the effect of combining and strengthening the color of both top and bottom layers. That’s it – a couple of mouse clicks and you are done. I hope that solves the issue for you Jenny and has saved you from having to buy a new scanner! OK, we move on to our very last question for this edition of the podcast and it is from Donna in Vancouver, Canada. Thanks for the question Donna I had the self-same problem with my last printer. Manufacturers make me laugh and curse at the same time. They make wild claims about what their products can do and the reality is often way off the mark. My last printer made by one of the leading printer brands was supposed to print up to 300gsm. It struggles to print half that! I don’t produce a great deal of greetings cards using my own printer for this very reason. I now tend to outsource and there are some very reasonable prices out there for not so large quantities. Years ago you had to but tens of thousands of cards to make the unit cost for each one viable. With the advancement of technology, smaller runs are normal practice and you can get top quality greetings cards with your own designs for the right price. I have recently used Printed.com who produce quality prints on a range of quality papers and cards. It is worth shopping around to see what bargains you can get. If you are determined to print your own cards I would suggest you get a printer with ink reservoirs rather than cartridges – it will save you a fortune and bring the unit cost for each printed card down considerably. My current printer is an Epsom ET3600 which is a combi printer/scanner with refillable ink reservoirs. I have given it a hammering for over 12 months and have only recently refilled the black tank. The other three color tanks are still at least half full. Yes, the refills are expensive but in the same time period, I would have got through several sets of cartridges which I estimate would have been quadruple the cost. It generally feeds heavier paper without a problem but occasionally plays up. If there is anyone out there who could recommend a trouble-free color printer that can handle card of 300gsm or heavier please get in touch and let me know. I would rather hear from experience than rely on manufacturers dodgy claims! Thanks for that Donna and I hope you are successful with your Christmas cards.